Anthony Waller is the Executive Director of SEFtoken, a project offering a tokenized security warrant that entitles token holders to a direct investment in a fully regulated, licensed, exchange infrastructure. Amidst the recent demand for regulated trading exchanges, STOblock had the opportunity to talk with Anthony to learn more about the project and what it sets out to achieve. The SEFtoken provides direct investment in an existing regulated and licensed exchange. Can you tell us more about the underlying asset? This is a sophisticated asset and as such requires some technical explanation, but in short, the SEFtoken underlying asset is an exchange. Operating, licenced and regulated. Of importance, the exchange, Mercari Pty Limited (“Mercari”) holds an Australian Market Licence, granted in 2005 by the Australian Government, to operate an electronic financial market (SEF/OTC) for the facilitation of trading of designated financial products by participants trading on their own behalf or via approved broker-dealer. Mercari owns its own technology and has FIX gateway technology that connects brokers and data providers, such as Bloomberg and Thomson Reuters. This is far different from a North American ATS / ECN execution framework which requires only an exemption provided under Exchange Act Rule 3a1–1(a) for the operator (rather than the regulatory oversight of an exchange). The Mercari exchange however is subject to far more stringent oversight including multiple layers of onerous requirements including compliance, surveillance, technology, personnel, and market integrity rules and is subject to random audit. Mercari has developed significant IP and has committed the ongoing capital to build Financial Market Infrastructure (FMI) in order to meet its regulatory and operational obligations. This is regulatory and technological financial market infrastructure which is very difficult to replicate as evidenced by the scarcity globally of these exchange assets that fall within the highly regulated jurisdictions. Mercari has a very distinct advantage with regard to its ability to expand its infrastructure into complex digital asset products including the many forms of tokenized assets. Mercari has experienced product development and regulatory teams which provide a material advantage over inexperienced new comers who may be laying out plans for a tokenized asset trading exchange. Beyond the exchange, Mercari has already mapped out plans for the next generation of derivative products over digital assets in order to improve the liquidity of tokenized assets and has the necessary experience with regulators to work through the complex requirements to achieve a fully regulatory compliant market. How can distributed ledger technology revolutionize finance, specifically derivatives? That’s a huge question and I only want to say the outcome: global connectivity between investors and capital. Take SEFtoken, Inc., we’re seeking to raise capital in a U.S. regulated raise that gives us access to accredited investors in the U.S. and all over the world. Our security will be issued on the Ethereum blockchain and subject to the terms of the smart contract will be transferrable instantly to anyone on the planet with an Ethereum wallet. 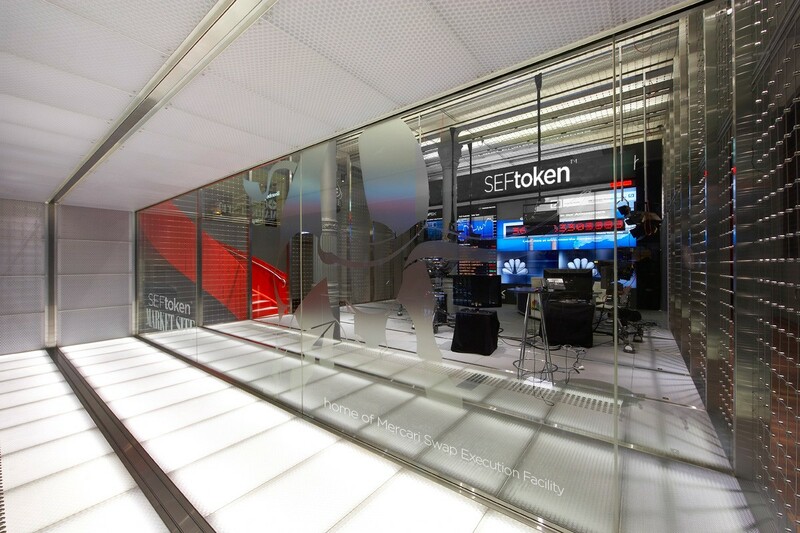 The asset that underlines SEFtoken is a regulated exchange in Australia that is ready for expansion into a regulatory compliant digital security exchange. Through the connectivity of the internet and now blockchain, SEFtoken, Inc. has access to likeminded people all over the world. That’s completely revolutionary. With derivatives specially, that’s where our main IP is. What we have planned for derivatives is the genie in the bottle; but in a good way. SEFtoken will be the first to implement a covered warrant structure over a standard STO. What does this mean for investors? Capital markets thrive on the transportability of assets. The covered warrant structure engineered by SEFtoken, Inc. has wider applications. It effectively allows asset owners outside the U.S. to undertake a security token raise and have the security on the blockchain no matter where the asset is located. Investors will be able to access assets located in any jurisdiction through a security offering in the U.S. with all the investor protections that the U.S. has to offer. The covered warrant can only take place where the issuer holds the actual asset. Proper legal structure ensures that when the time of exercise arises, the issuer will have the asset. Covered warrants mean that there is no dilution of the asset upon exercising. Where an option is exercised, the exercising of the option creates more shares in a company and therefore has a dilutionary effect on existing shareholders. For a covered warrant, as the shares have already been issued, the exercising of a covered warrant simply transfers ownership of the already issued shares. There is no dilutionary effect as a result of the exercising of the warrant. It’s very attractive. The SEFtoken covered warrants also have other anti-dilutionary mechanisms. Each SEFtoken gives right of conversion to a specified percentage of the undiluted holding of Mercari at the time of conversion. This feature of the SEFtoken Smart Contract means that regardless as to whether Mercari issues more shares during the 7 years after issuance, the SEFtoken Holders will be guaranteed their contracted percentage holding. This safeguard is embodied in the shares as well as the covered warrants all secured by the smart contract. Compare this to other raises where an incoming shareholder is vulnerable to the issuance of securities by a company which diminish their overall level of holding. The proposed hard cap of $125m USD if achieved will provide investors with a 47% stake in the underlying asset exchange. What was the reason behind this structure? The crypto community started as an alternative to the traditional finance world. It’s faced its problems all surrounding trust. Trust in pricing, liquidity, price manipulation and AML issues. Unless the community works together to create safe marketplaces for the newly formed digital tokenized securities, the super exchanges of the world will take the space as they know how to promote and foster investor protection. And they’re not sitting and watching, they have already started. SEFtoken provides the community an opportunity to own 47% of a properly capitalized existing exchange that’s ready to expand into a regulatory approved DLT based digital securities market with global access in the Asian time zone. The community can take a real stake of a real exchange to compete with the super exchanges. The community can then choose, where do you want to trade? A regulated Digital Asset Exchange owned by the super exchanges, with little to no return to the community or one where they have a massive 47% stake. And what’s more, SEFtoken has structured anti-dilute mechanisms in the capital structure to protect that stake. Can you explain what the process will be for projects looking to list with SEFtoken? Is there a criteria? Leveraging its Financial Market Infrastructure, subject to regulatory approval, Mercari will utilize expansion funding to transform its FMI into the listing and trading tokenized securities market combined with the Mercari DLT Execution System. Each category has distinct requirements and needs in order to foster a liquid market. Mercari’s business plan is to be fixated on being a Global Venue of Choice for tokenized securities. It proposes a regulatory approved structure that includes a specialised Listing Services Department that will provide dedicated resources for both pre-listing and post-listing. The compliance necessary for a regulated listing is naturally stringent and Mercari will ensure that the listing process is simplified while ensuring minimum thresholds for Listing Entities match Mercari’s high integrity standards. Merely having an STO issued on the blockchain will not guarantee listing on the Mercari Tokenized Securities Market. Listings will require approval of Mercari’s Independent Listing Committee with a level of initial disclosure to meet Mercari’s pre-determined listing disclosure requirements. There will also be ongoing disclosure requirements in Mercari’s Tokenized Securities Listing Rules designed to provide the market with timely information. There will be a criteria, but there is too much intellectual property in that criteria to set it in public at this stage. But we will say this. Digital securities are still, and will always be securities. As a regulated exchange, Mercari is already experienced in ensuring markets comply with regulatory standards. It is in the interests of both Listing Entities and investors that all securities listed are of a high standard. Securitized/tokenized Exchange Traded Funds through derivatives. When do you anticipate trading of security tokens will be available on the exchange? Firstly, Mercari as an Australian Market Licence holder may expand its existing range of financial products by requesting a product approval. To trade the SEFtoken, Mercari requires a product approval. This can happen is a short space of time. Secondly, Mercari intends to utilize a DLT-enabled system to instantly eliminate counterparty risk and provide instant transfer of property and title for its existing approved financial products (the “Mercari DLT Execution System”). Accordingly, we anticipate that working together with the Regulator will be a collaborate process and are confident that regulatory approvals and technology development can occur within an 18 months to 2 years’ timeframe after the issuance of the SEFtokens. Is there anything you would like to share with the community? The nature of the universe is one of change and evolution. Each new creation is born of fragments of something that already exists, seeking to improve and adapt. Blockchain gave way to ICOs and while ICOs failed to reach the heights they promised, they did prove the hypothesis that blockchain could be used for securities, by the fact they tried not to be. Those from finance, like us, went the other way, why don’t you ensure that your product is a security. If the community can work with projects that seek to regulate the innovations that they have created, then the community can become an industry and move closer to frictionless transfers of wealth and take out the rent seekers. If you found this interview valuable, please clap (50 is max) and share.